In the early 1900s Samuel Pierpont Langley wanted to be the first man to fly an airplane. He stacked the odds in his favor, or so he thought, by arming himself with all the ingredients for success. His friends included some of the most powerful men in government and business. He was given a $50k grant from the War Department (an enormous sum at the time.) He brought together the best minds of the day – the most talented team imaginable. The team had access to the best technology and materials. They were treated like rockstars and followed everywhere by the press. It was virtually impossible to fail. Or was it? Not very far away Wilbur and Orville Wright were working on their own airplane. Only they didn’t have a lot of money. They didn’t have a team of world-class talent – not a single person on the team had a college education let alone an advanced degree. They didn’t have the best materials. Heck, they were operating out of a bicycle shop. But they did have something that Pierpont didn’t have. They had passion. Like the Titanic, we know how this story ends. On December 17, 1903 the Wright brothers took man into flight for the first time. Why did they succeed against a more talented and better funded team? It wasn’t luck. Both Langley and the Wright bothers were motivated, had scientific minds, and worked hard. It wasn’t money, talent, or materials. Langley had more of these in spades. It wasn’t systems or processes as these are easily replicated. The difference between someone doing something because they want to and not because they have to is huge. Have you ever worked for a boss you didn’t like on a project you didn’t like? You might be the most talented person in the organization but it doesn’t matter because on that project and for that boss you’re a 9 to 5 worker. You do your job and nothing more. You shut your brain off. Compare that to a time you worked for a boss you loved on a project you loved. I bet you went all in. The hours flew by, you thought about the project in the shower in the morning, your passion and excitement about the project was hard to contain. 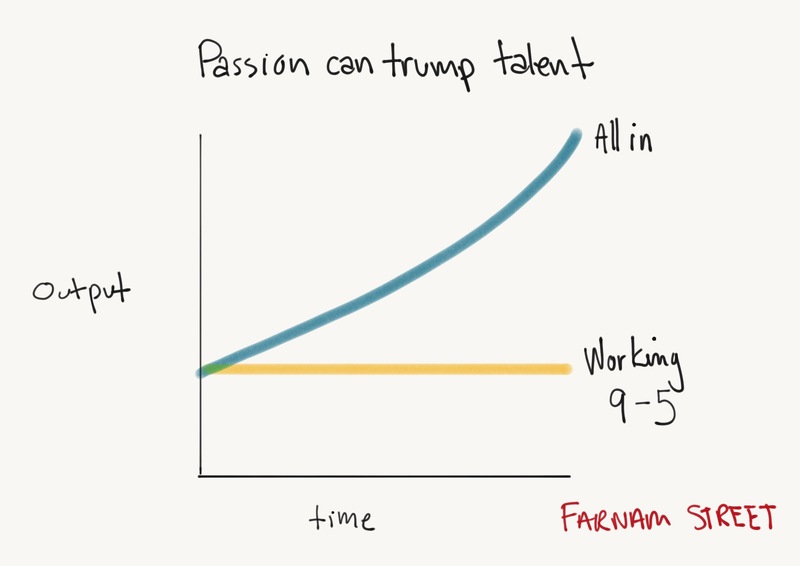 This is how team can trump talent and one of the mains reasons that culture eats strategy. Sinek concludes that great leaders “are able to inspire people to act. Those who are able to inspire give people a sense of purpose or belonging that has little to do with any external incentive or benefit to be gained.” In short, they inspire people to acts because they want to, not because they were swayed with money or rewards. And people who are inspired to act have a deeply personal motivation for doing so and they endure inconveniences, personal suffering and setbacks. Give me a team of people acting because they want to, not because they have to, and you can compete with anyone.